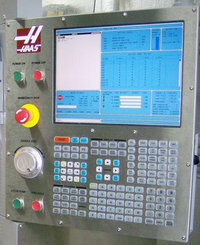 Supports the Haas Servo Bar 300 bar feeder. This is the V axis position for loading and unloading a bar. Units are in inches*10,000.